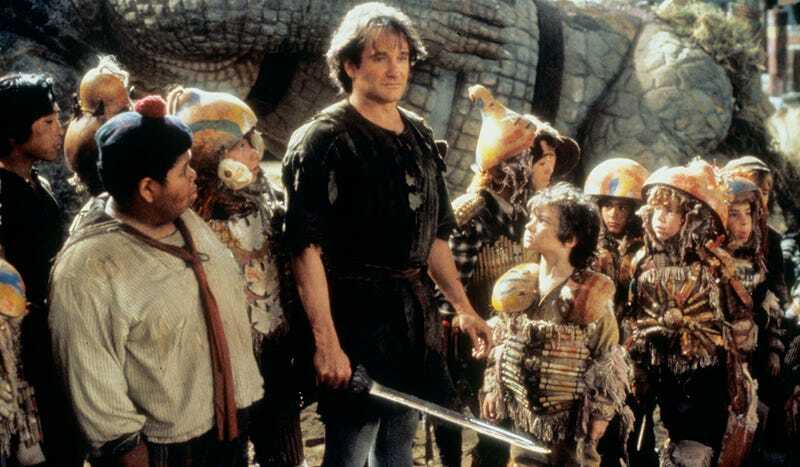 In 1991, Steven Spielberg told us what happened when Peter Pan grew up. The film, Hook, was a big hit and garnered a huge legion of fans who saw it as kids. It hasn’t aged too well, to be honest, but these photos will make you either insanely nostalgic or incredibly depressed. Hook’s actual 25th anniversary isn’t until December 11 but the team at 22 Vision got all the original Lost Boys back together and dressed them up in their original costumes. You can see more at the 22 Vision Facebook, including individuals of all the guys. Glad to see Rufio, Thud, Don’t Ask and the crew still doing well in their 30s and 40s.